29-year-old Sanjit has been suffering from severe Kidney failure for the last nine months and has been in severe pain and suffering since then. 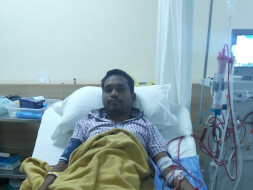 He has been on dialysis since then but is still unable to recover and has been asked to urgently undergo a kidney transplant in order to recover fully and be treated. "From as far back as I can remember, I have always seen my family suffering. So when I got to know about my disease, all I could think of was how much more my family will now suffer because of me," said Sanjit. 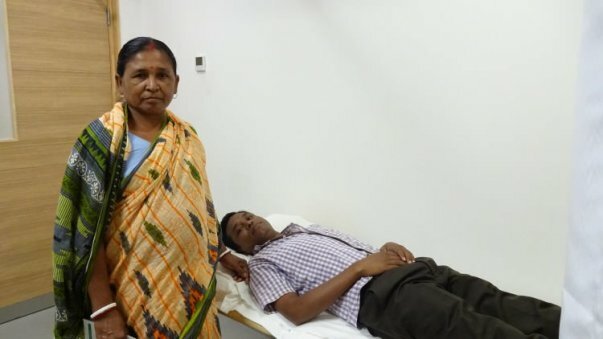 Sanjit's 55-year-old mother who is willing to do whatever it takes has willingly offered to donate one of her kidney's to her son. 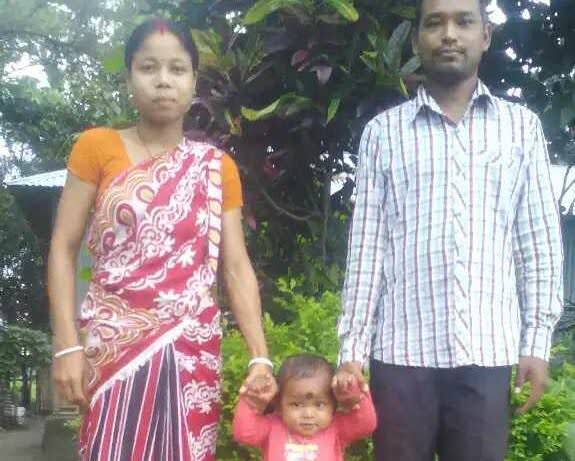 Despite knowing the risks of having only one kidney at her age, Sanjit's mother is ready to do what it takes to save her son. Despite knowing the risks of having only one kidney at her age, Sanjit's mother is ready to take the plunge without paying any heed to the consequences. Sanjit and his brothers are daily wage labourers and barely make Rs 100 per day. 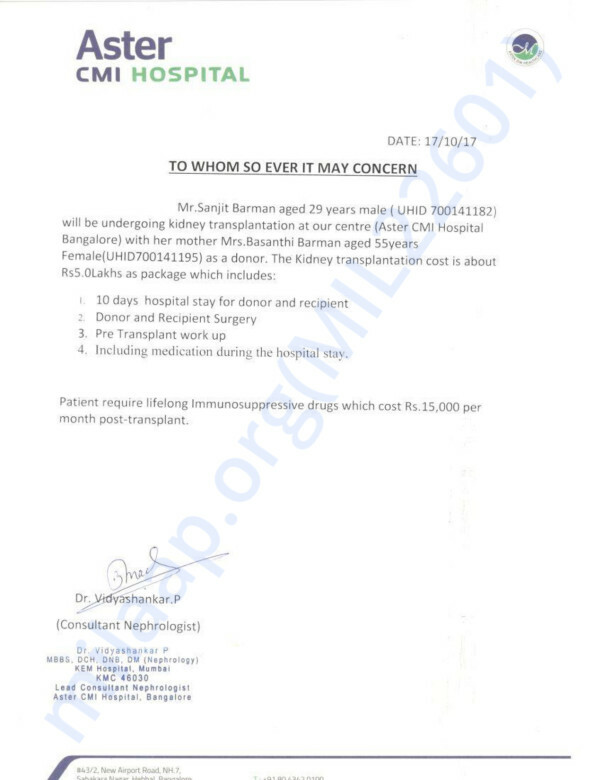 The estimated cost of entire treatment is Rs 5 lakhs and with their meagre means, the family is finding it extremely difficult to arrange for the required funds. "We had mortgaged our house and whatever little land we had to fund my dialysis. But now we have absolutely nothing left. I don't want to die like this. I see my baby's face and want to do anything in power to make sure I survive, for him! ", said Sanjit. 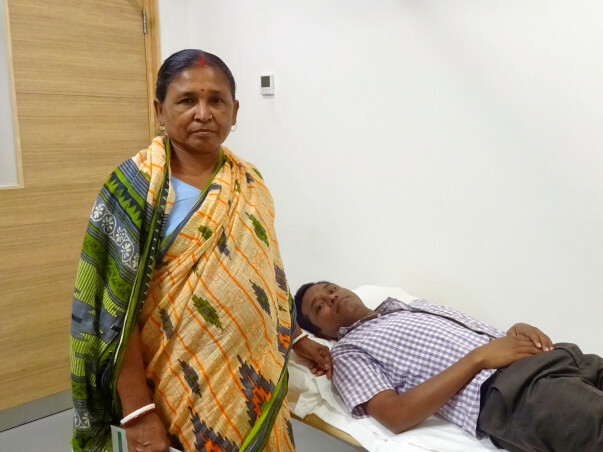 Your contribution can help Sanjit get the treatment he deserves.